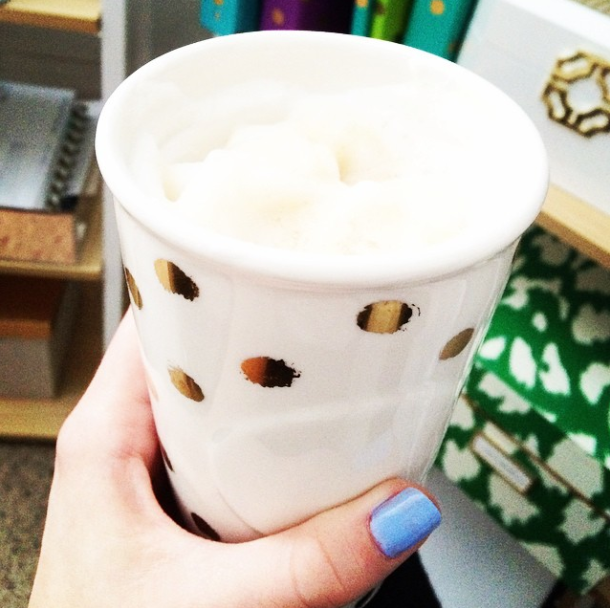 Whether you drink coffee or not, we all have at least one coffee mug. 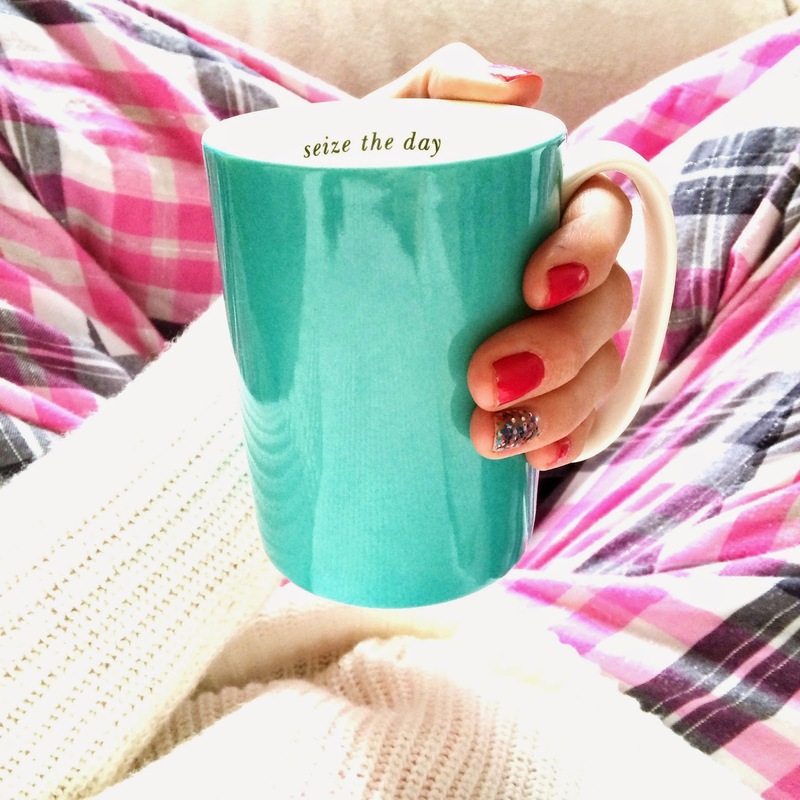 I like to strategically decide on what coffee mug I will use on a particular day based on my mood…don't tell me you aren't guilty of this sometimes too:). // For the days when you just don't care. Go ahead, skirt the rules and have an awesome day. // For the days when everyone thinks there is coffee in your mug…it may or may not be wine, champagne, or even diet coke. They will never know. // For the days when you need motivation, inspiration, and "carpe diem" tattooed on your hand, the mug below is my go-to. // For all other days when you need some sparkle in your life. What a better option than gold polka dots? Any coffee mug picks that I must see? I am always adding to my collection. I have so many mugs. Can't stop buying them. It's getting to the point that certain ones are only used in certain days. If I really love them they are used in weekends or my day off bc that way I get to enjoy them longer. And now you're thinking I'm crazy right? Haha! I love this…and no you are not crazy at all. What's your favorite mug? Do you have a particular brand that you are always buying? These are amazing - I am sooo jealous! I drink a ton of tea all the time and so I am obsessed with mugs. My favorite right now is the one my bff made me that says "Does this ring make me look engaged?" I looooove it. My currents favorites are an owl mug sent to me by Emily (Ember Grey) that I use on Wednesday (my day off during the week). I have a gold and cream one from my daughter that is reserved for Sundays, and I have one from Tabitha (Hundred Tiny Wishes -Etsy shop) with my blog name on it that I use on Saturdays. I love the mugs at Target and TJ Maxx. The rest of the week is whatever catches my eye in the cupboard (which btw, mine are kept separately from the rest of the mugs that others use)! I think I'm a bit of a mug snob. I'm a tea drinker, but the same rules apply! I have particular mugs and cups depending on whether I'm drinking tea while working, reading on a Saturday morning, have a friend over, am in a good mood, am in a bad mood... I'm sure it just wouldn't taste right otherwise! If my mugs weren't all packed up i'd show you! Starbucks ones are the best hands down, and it seems you already know that haha. I love it! TJ has great mugs, that's where I get most of mine!! Haha I love that your mugs are separated…too great! HA! I love that…do you have a picture posted somewhere..I need to see this mug! Thanks Linda…my collection is ever growing!